It’s time to ear up the ultimate chill day of the year…Father’s Day. 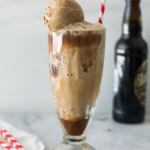 Why not treat dad with the ultimate double root beer float? 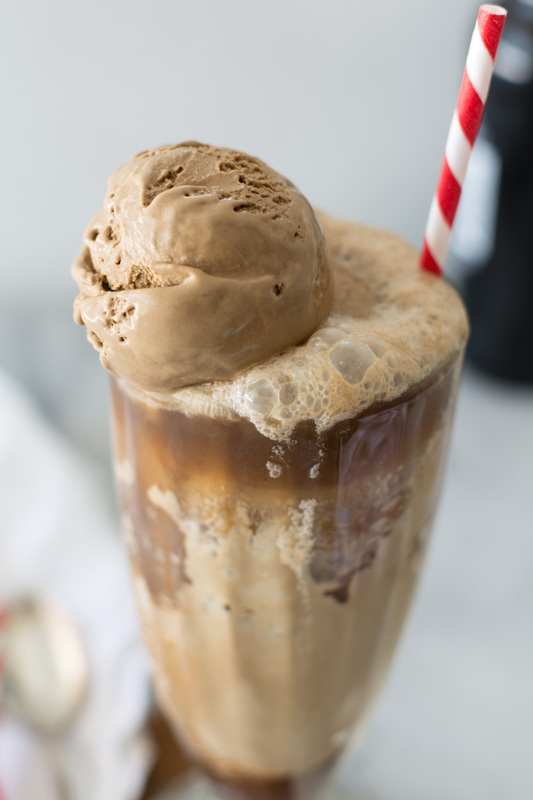 The ultimate double root beer float is made with homemade root beer ice cream and your favorite draft root beer. 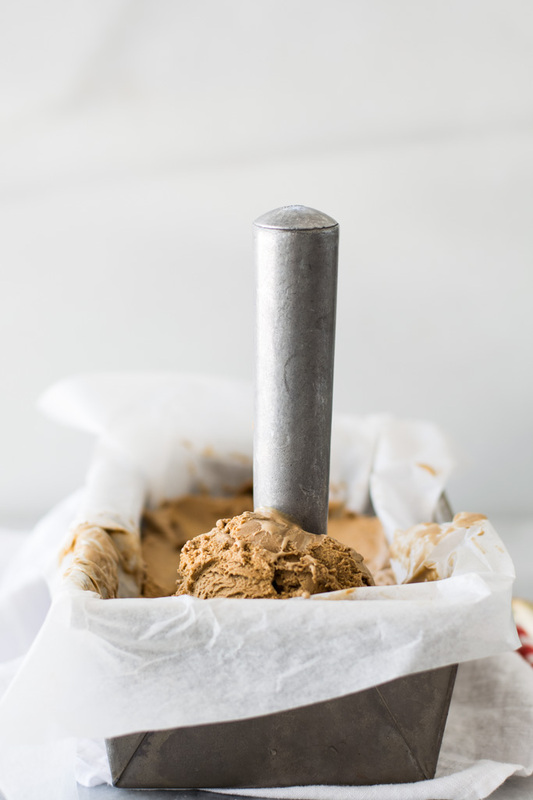 I love making small batch homemade ice cream. 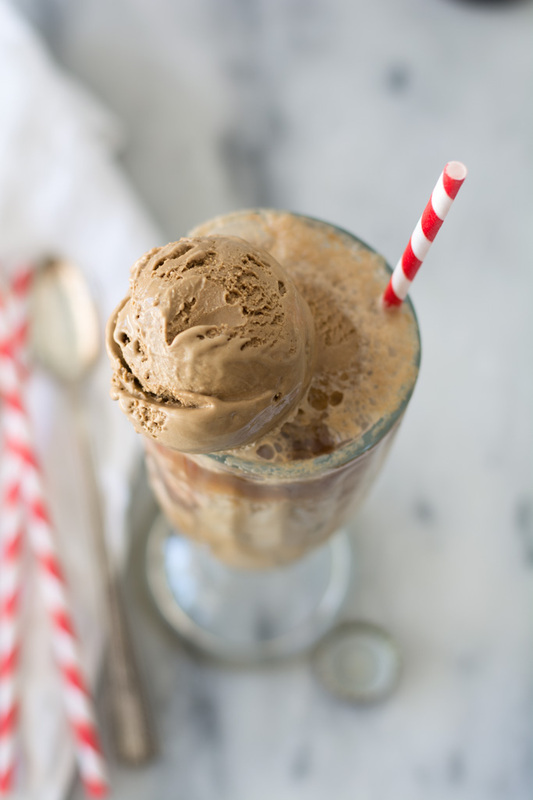 It’s dense and creamy and is the perfect base for an over-the-top root beer float. Gather and measure recipe ingredients. 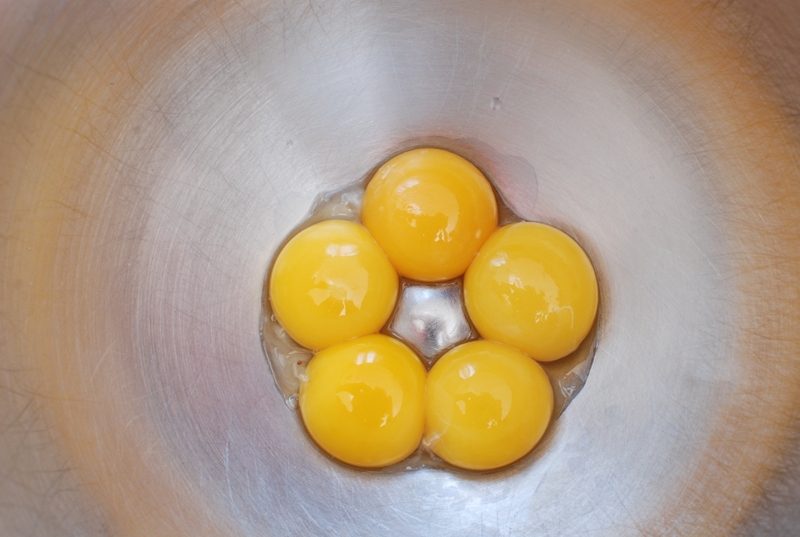 Put 5 egg yolks in a large mixing bowl. With the mixer running, slowly add the sugar to the egg yolks. 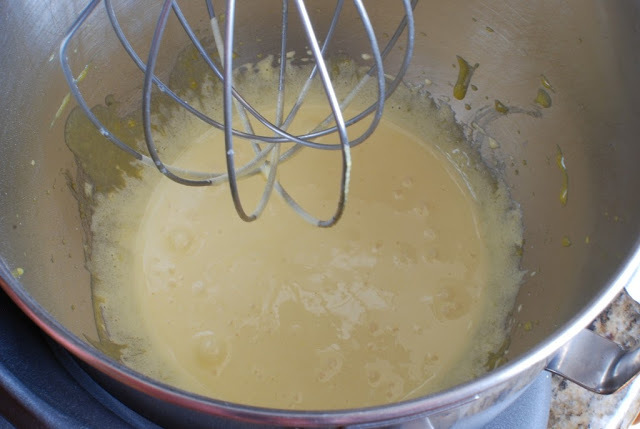 Beat until the eggs are light yellow and have thickened. 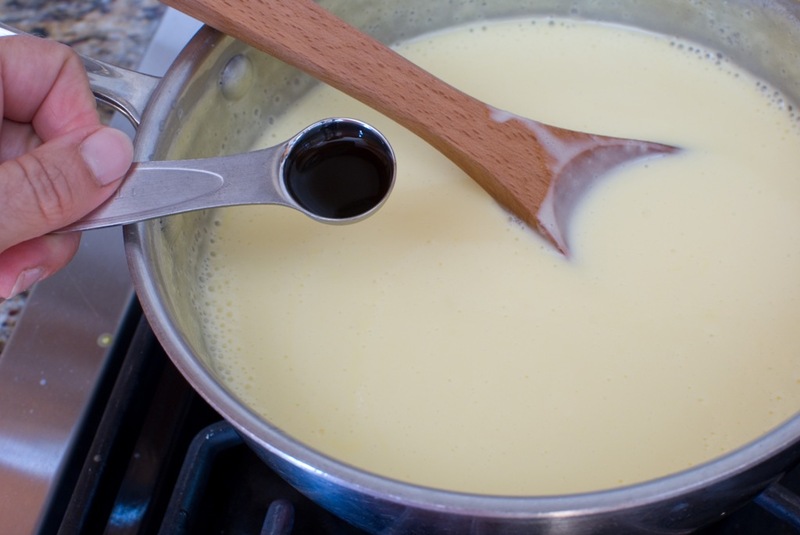 While the eggs are mixing, heat the cream in a medium size sauce pan over low heat. 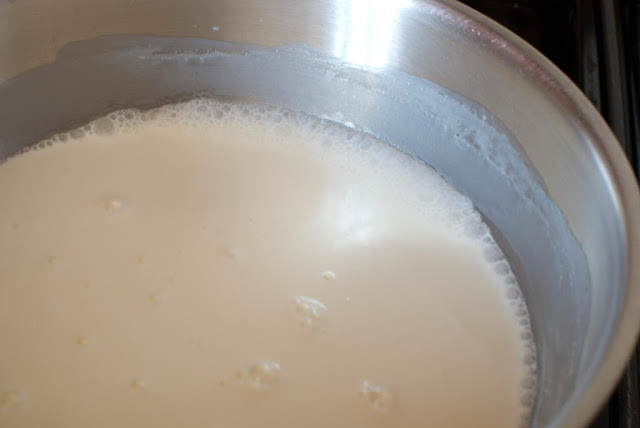 Cook until the milk just barely begins to simmer. With the mixer running, slowly add the hot cream mixture to the egg mixture and mix. Note: remember to add the hot mixture SLOWLY. 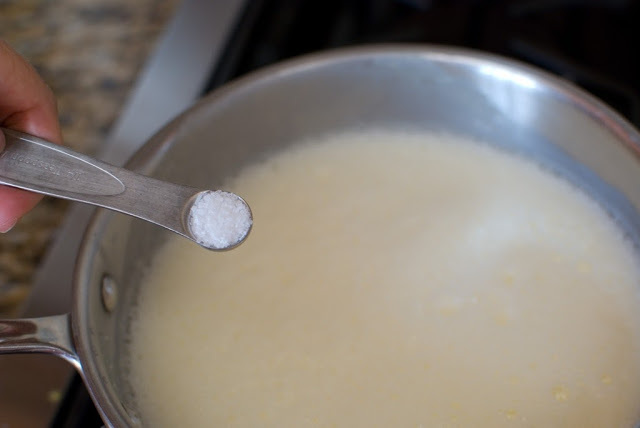 If you pour it in all at once the eggs will cook and you will have scrambled eggs. 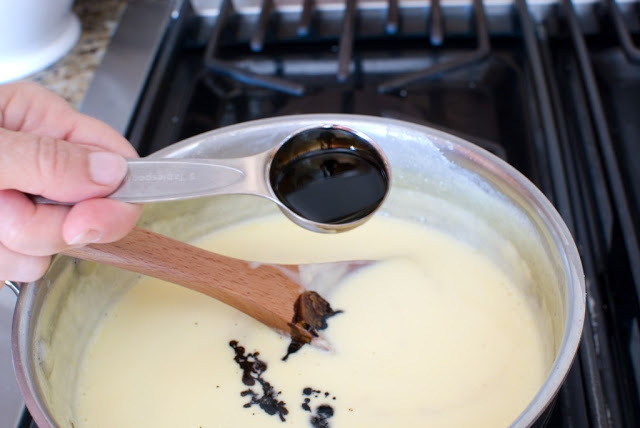 Pour the egg and cream mixture back into the saucepan. Add the salt. Continue to cook over low heat, stirring constantly. This is root beer extract. This is Hires root beer extract. It’s fabulous. 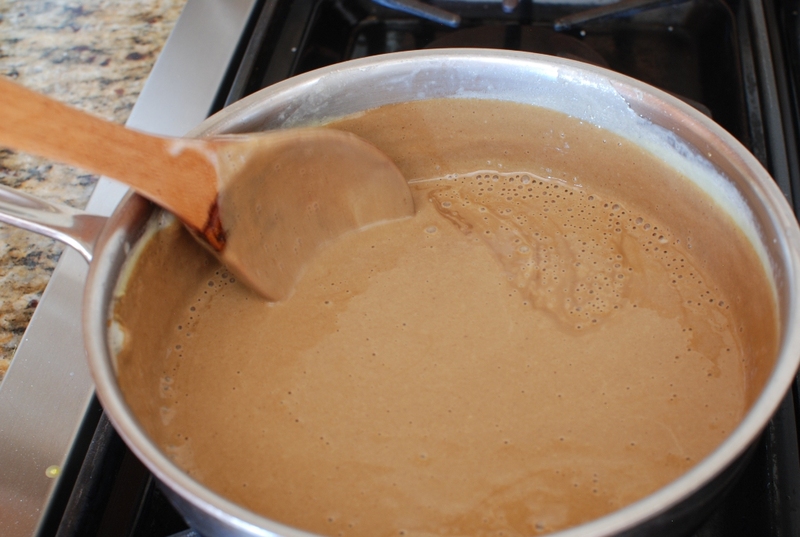 If you cannot find root beer extract just pour 12 ounces of flat root beer into a sauce pan and reduce until you have about 2 tablespoons of liquid. 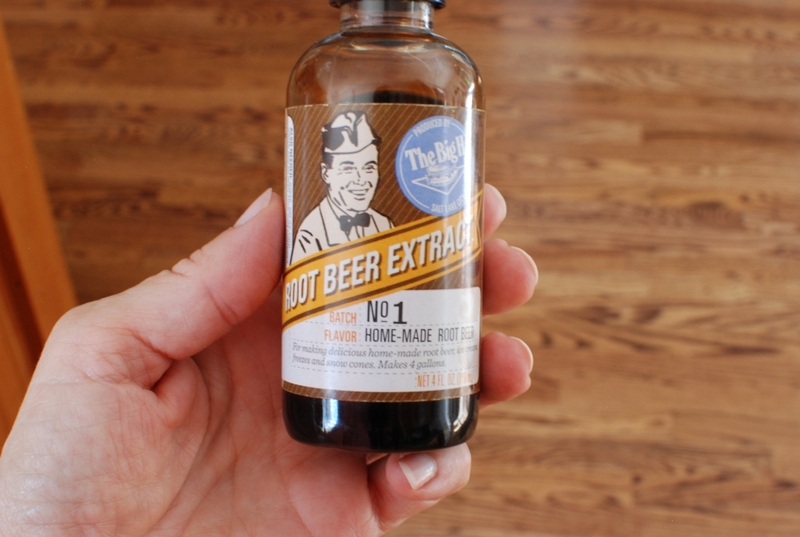 Add the root beer extract. 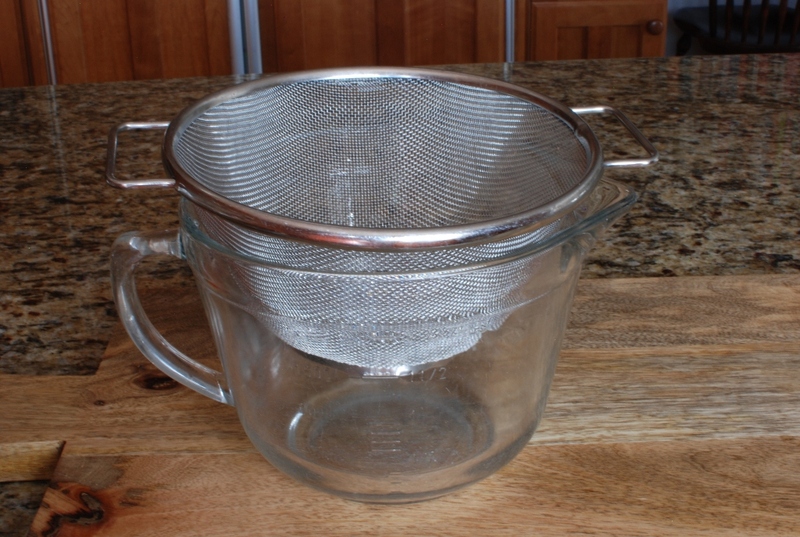 Pour the mixture through a wire strainer just to make sure the mixture is smooth and creamy with no cook egg bits. Cover with plastic wrap and chill for at least 5 hours or more. I like overnight. 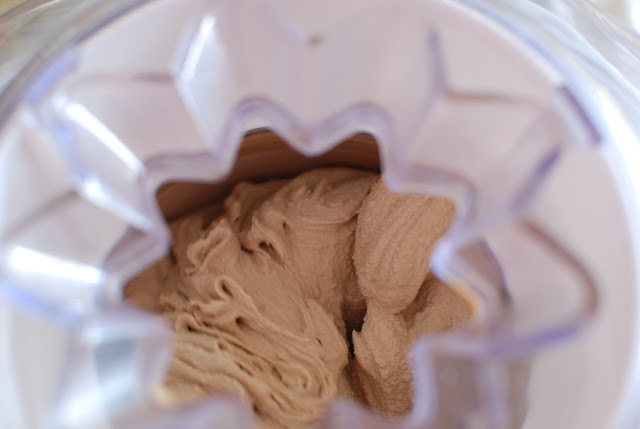 When ice cream base is well chilled pour into an ice cream maker. Freeze according to the manufacturers directions. This should take 25-30 minutes. Only 25 minutes to heaven! Transfer the ice cream to a container. Cover with plastic wrap and freeze until firm enough to scoop, about 2-4 hours. 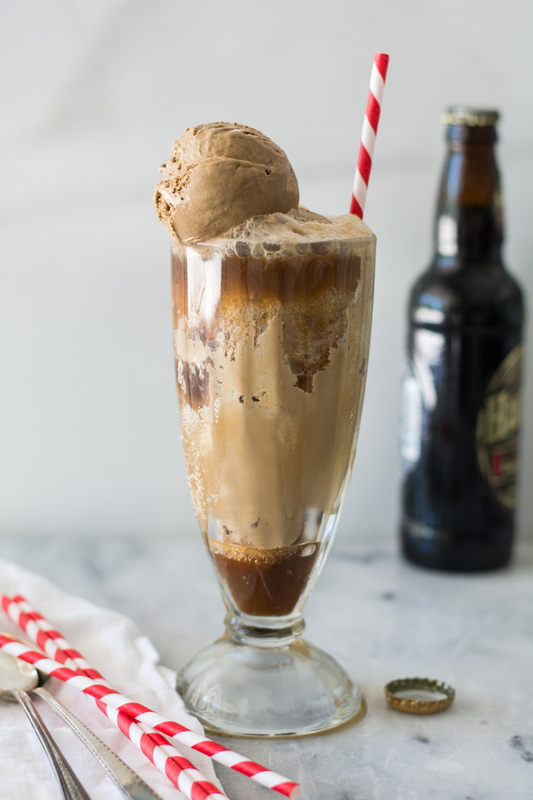 Scoop ice cream into a tall glass and pour your favorite draft root beer over the top. Add a straw and a tall spoon. Enjoy. After taking this photo, I gave the root beer float to my dad. He guzzled it down and asked why I used chocolate ice cream? Sigh…it’s root beer ice cream, dad. 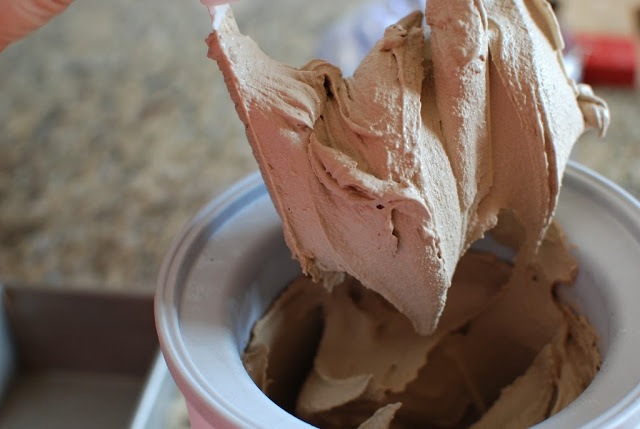 Do you prefer your root beer floats heavy on the ice cream with a bit of root beer or heavy on the root beer light on the ice cream? I prefer heavy on the ice cream. Totally! Homemade rootbeer ice cream covered with ice cold rootbeer. 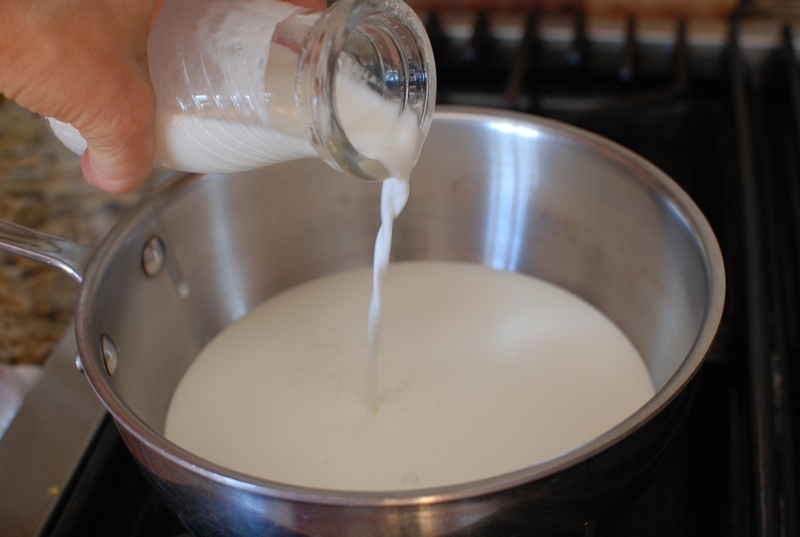 In a medium size sauce pan, combine milk and cream. Bring to a low simmer. 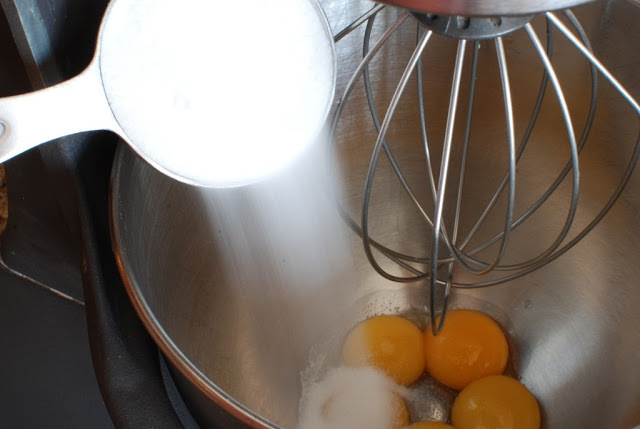 In a large mixing bowl beat egg yolks. Slowly add in sugar. 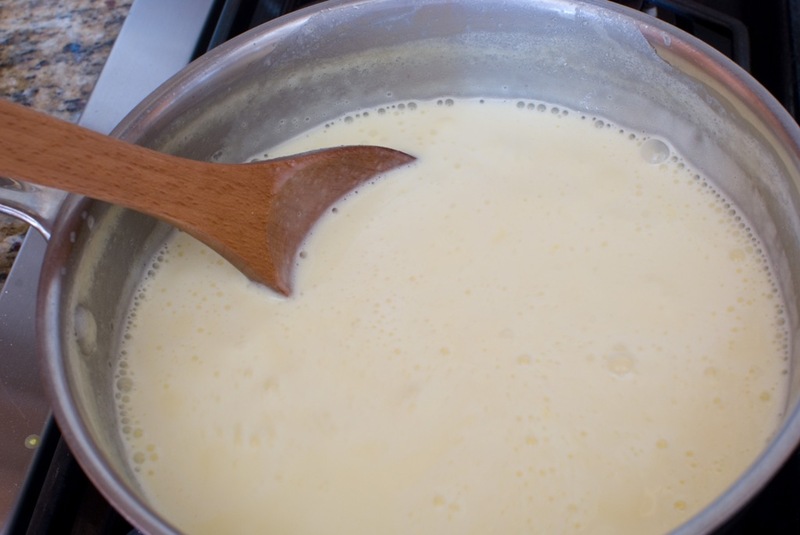 Beat until mixture is light yellow and thick. 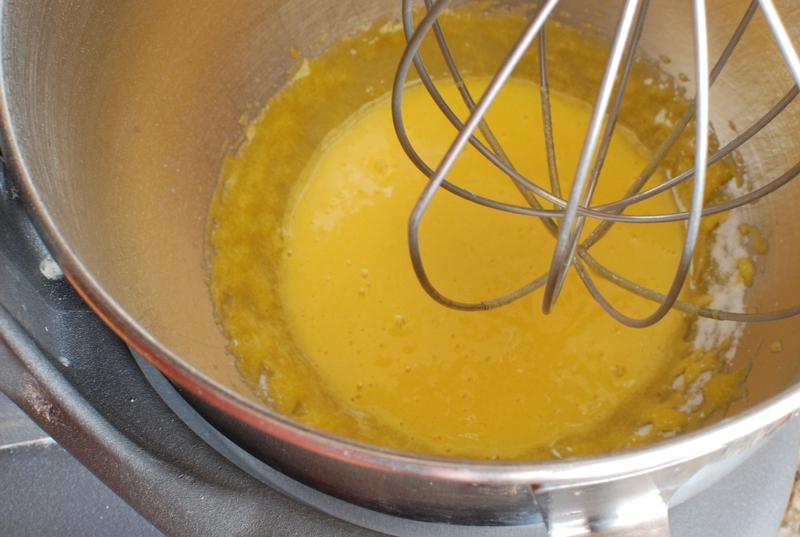 Slowly pour hot milk mixture into the egg yolk mixture beating constantly. 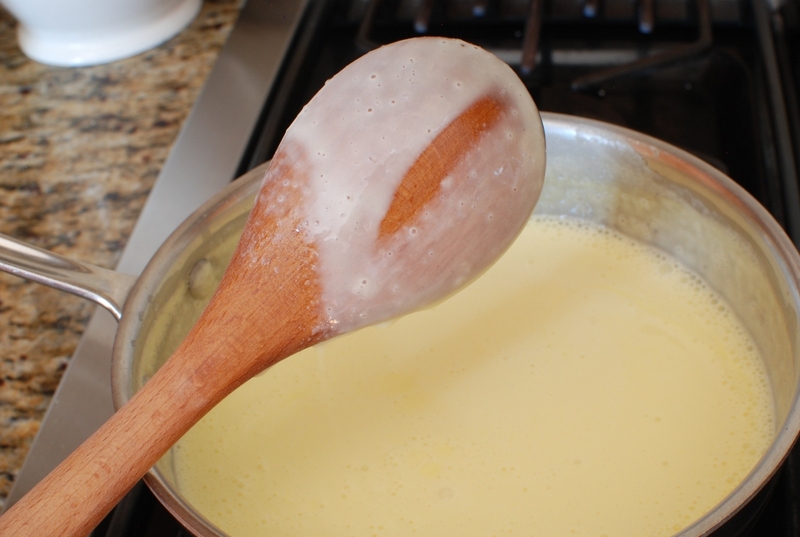 Return to pan; add salt and cook over low heat until the mixture coats the back of a spoons. Remove from heat. 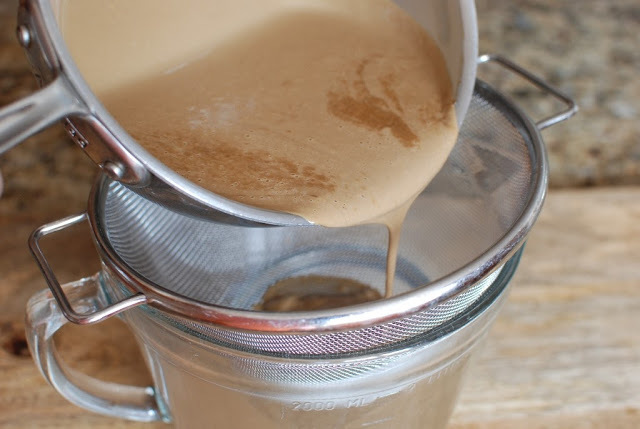 Add vanilla and root beer extract. 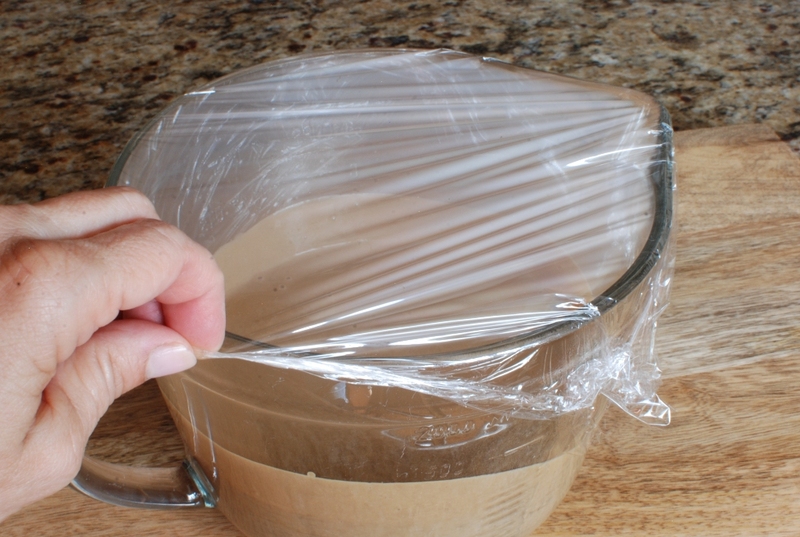 Pour into a large bowl, cover with plastic wrap and refrigerate until completely cool. 2-4 hours. I prefer overnight. Makes 1 1/2 quarts. 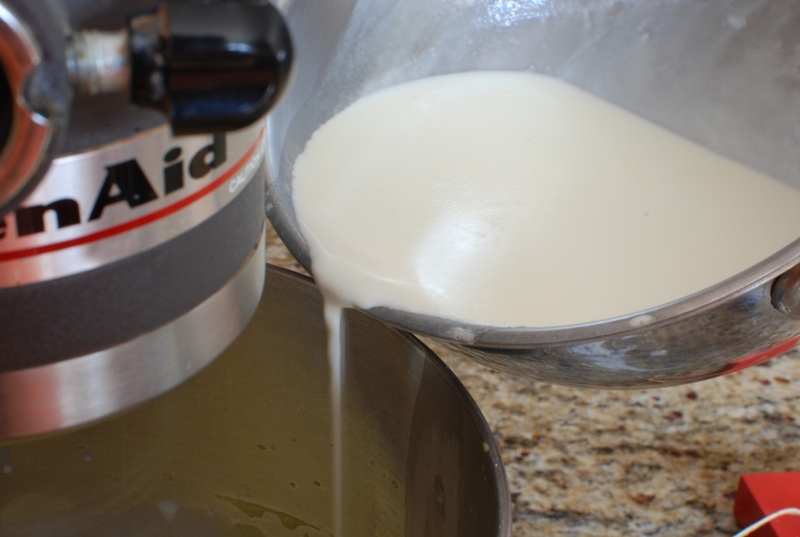 Pour chilled mixture into an ice cream maker. Freeze according to manufacturers directions. 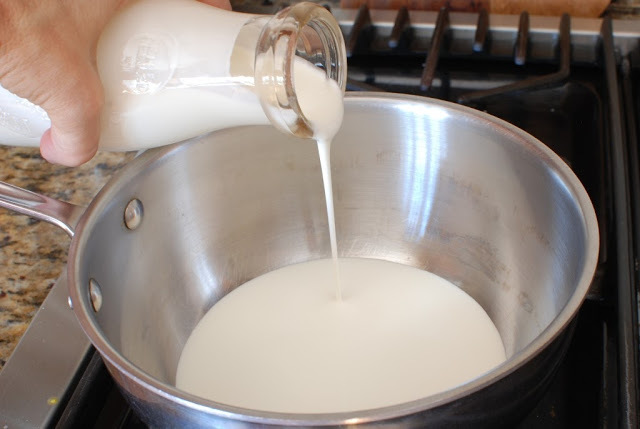 Pour into a container and return to freezer. Freeze until firm. 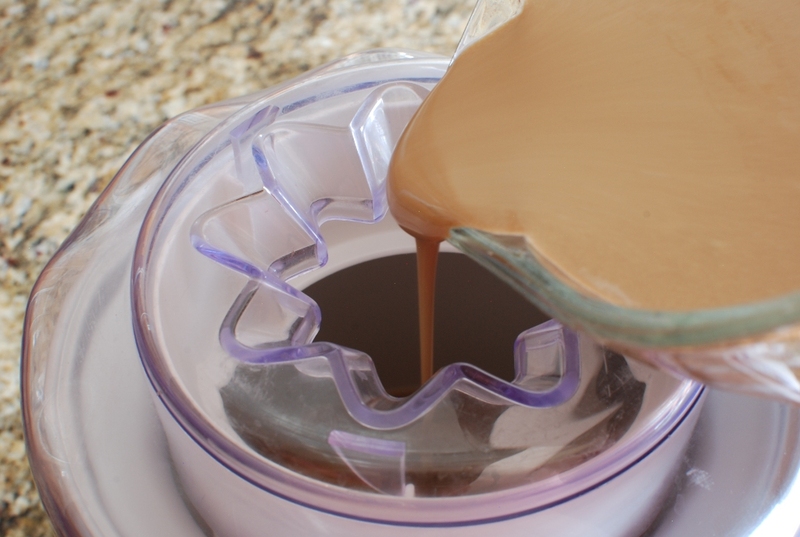 For root beer floats: Scoop ice cream into tall glasses. 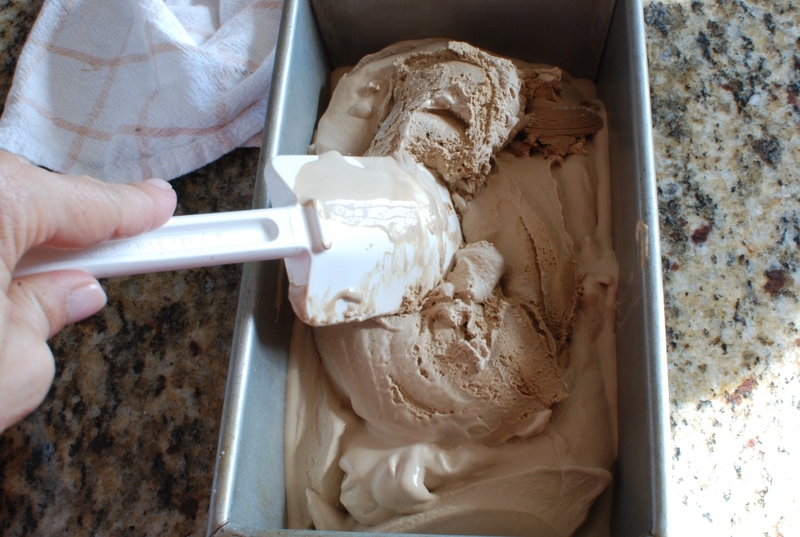 Pour chilled root beer over ice cream. Serve immediately. 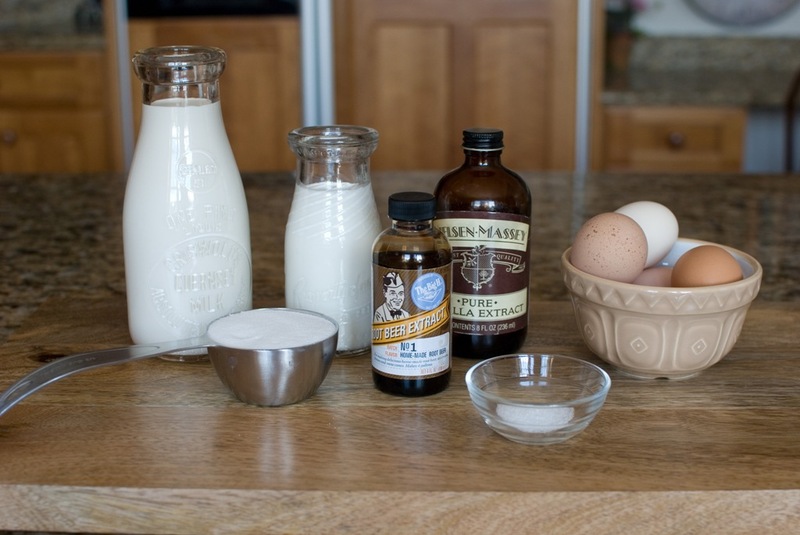 *If root beer extract is not available, reduce 12 oz root beer by simmering over low heat. Reduce liquid to 2 tablespoons. This post is a repost from several years ago. Some how with my technically challenged brain, I deleted the post. I re-shot some of the photo’s. Because I can’t live without the ultimate root beer float…right?